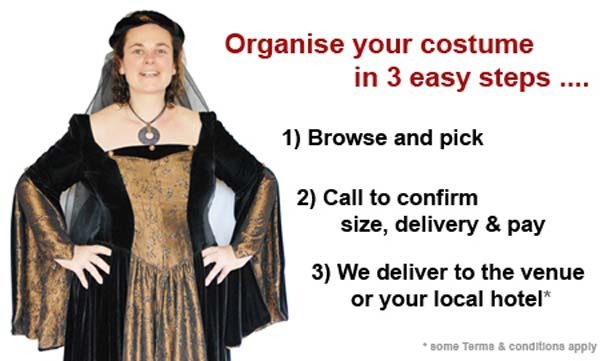 Costumes2u are the preferred supplier of quality period costumes to Warwick Castle and Coombe Abbey for their banquets and themed weddings. We have helped thousands of customers to enhance their banquet experience and have an unmatched reputation for quality and service. It's good fun to dress up and improve the success of a corporate event. We don't have a high street presence, aiming to save precious time and associated stress by offering a free delivery and collection service (subject to a minimum order value) to Hotels and B&B's within a 3 mile radius of Warwick, or to the Coombe Abbey hotel & event centre.